Whether you're apartment hunting or not, it can occasionally be amusing to drool over an upmarket real estate listing to see what kind of houses wealthier people can afford. So what exactly does the top-end of Cary's rental market look like these days -- and what amenities, room count and square footage might one land at these elevated price points? We examined local listings in Cary via rental site Zumper to determine the city's most luxurious listings. Here's a single-family home over at 638 Mercer Grant Drive. It has four bedrooms and three bathrooms. This stately home is going for $2,950/month. In the unit, you can anticipate hardwood floors, granite countertops, stainless steel appliances, a kitchen island, ceiling fans, built-in storage features and a fireplace. There's also a porch, outdoor space and a swimming pool. Canine lovers, rejoice: dogs are welcome in this palatial villa. According to Walk Score, the area around this address requires a car for most errands, is somewhat bikeable and offers limited transit options. Then, here's this single-family home over at Elan Hall and Bridle Boast Road. It has four bedrooms and three bathrooms, and it encompasses 4,185 square feet. This rental is currently listed at $2,600/month. Why so expensive? The home features a mix of hardwood floors and carpeting, high ceilings, a kitchen island, granite countertops, stainless steel appliances, a fireplace, a deck and outdoor space. Pets are not permitted in this deluxe house. Walk Score indicates that the area around this address requires a car for most errands, is somewhat bikeable and has minimal transit options. 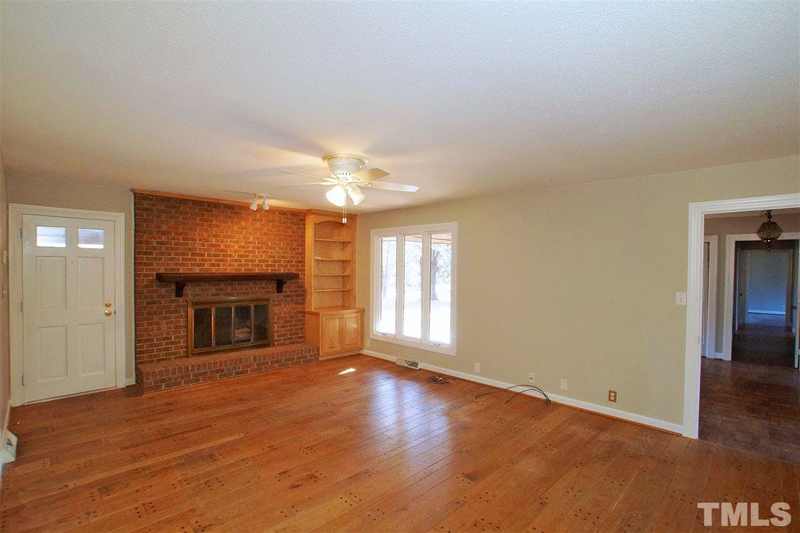 Then, there's this single-family home over at 106 Sherwood Forest Place. It has three bedrooms and two bathrooms, and it takes up 1,980 square feet. This spot is currently listed at $2,195/month. What, precisely, makes it so pricey? In the single-family home, you can anticipate air conditioning, hardwood flooring, a fireplace, a dishwasher, a sun room, stainless steel appliances and generous storage space. Living in this expansive home is a human-only thing: cats and dogs are not welcome. Walk Score indicates that the surrounding area requires a car for most errands, is fairly bikeable and has minimal transit options.